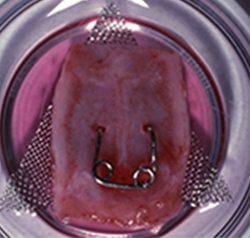 Studies of orthopedic expansion of cranial sutures have carefully documented that the biologic response is a widening of the suture followed by the production of connective tissue components (Hinrich- son and Storey, Storey, Cleall and associates, Murray and Cleall Ten Cate, Freeman, and Dickinson). By this remodeling activity, the suture re-establishes a configuration similar to its original form. The remodeling appears to be chemically mediated, but this is not well understood. Because collagen is the major protein of connective tissue, the metabolism of this molecule is important in understanding how tensile forces function.